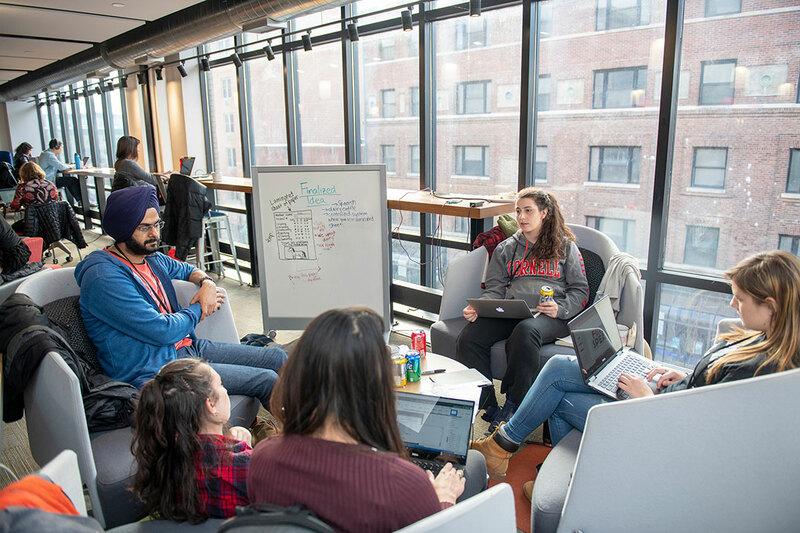 Student teams brainstorm ideas at the Cornell Animal Health Hackathon at eHub in Collegetown. Photo by Rachel Philipson. 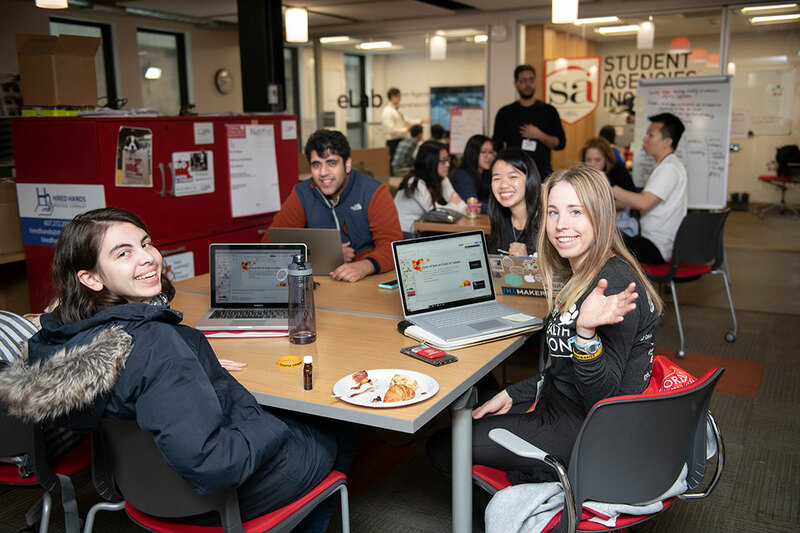 The hackathon was co-hosted by the College of Veterinary Medicine and Entrepreneurship at Cornell and offered a total of $8,000 in prize money. Photo by Rachel Philipson. “From the judges’ perspective, we were really impressed that they were able to take an existing technology and very quickly convert it into something that could be used and that there is a huge unmet need for. And with the People’s Choice, the audience obviously agreed,” said Jodi Korich, D.V.M. ’97, associate dean of education at Cornell’s College of Veterinary Medicine and one of six judges. “We saw a range of different products and solutions that really show the breadth of veterinary medicine,” said Jodi Korich, D.V.M. '97, associate dean of education. Animal Health Hackathon 2019. Photo by Rachel Philipson.